A pair of Michigan natives stepped their game up in January, and on Tuesday, were honored for it by the WCHA. 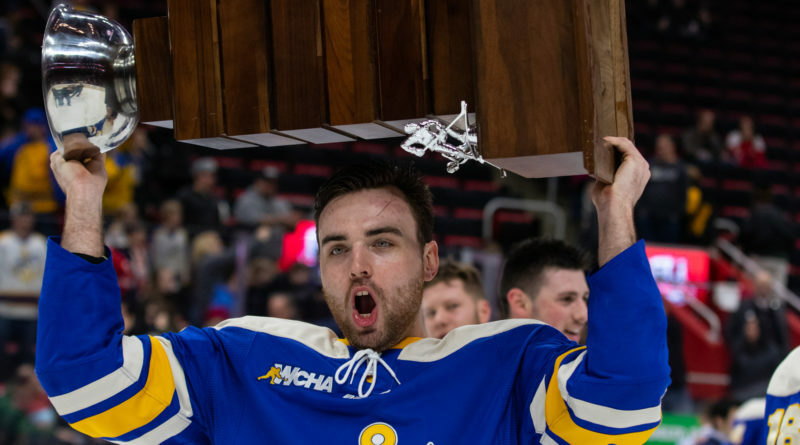 Alabama Huntsville senior defenseman and Brighton native Kurt Gosselin was named WCHA Defenseman of the Month after leading the league in assists (7) and led all league defensemen in scoring, with 10 points. Five of the 10 points came with the man advantage for UAH. Gosselin is up to 13 points in 17 games on the season. Meanwhile, Sault Ste. Marie native Ashton Calder had a productive month in his first collegiate season. Playing right in his own backyard, the Lake Superior State freshman forward collected six helpers and a plus-nine rating in eight January games (5-2-1), tops among all WCHA rookies on both accounts. The plus-nine rating also tied for first nationally among freshmen. Calder is up to 15 points in 27 games this season.